Do I need a prescription to buy Optliast online? 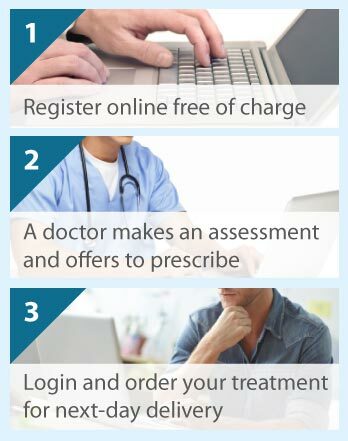 No prescription is required to get Optilast from The Online Clinic as we employ doctors who can issue a prescription direct to our pharmacy following an online consultation. Just click on the free consultation button to begin. Optilast eye drop solution contains a drug that prevents and relieves eye irritations caused by hay fever and other allergies. The active medication in the eye drops is called azelastine, which is an anti-histamine. Histamine is a natural substance that the body produces to counteract the effects of pollens, dust, house mites and other substances that cause allergies. Optilast works by preventing the effects of the high amounts of histamine that are released in response to the allergy. In this way it reduces the symptoms of soreness, redness and itching in the eyes. Before using the eye drops it is a good idea to wash your hands and clean around your eyes with a tissue to remove any moisture. Unscrew the bottle and remove the dropper. Carefully place one drop of the solution into the corner of your lower eyelid. You can help the process by gently pulling down the eyelid. Do all you can to avoid touching the eye itself. When you have applied the solution, press the inner corner of your eye towards the bridge of your nose. This will help to keep the solution in place. Blinking your eye a few times before you release the lower lid will help to disperse the solution across the surface of the eye. Any excess solution can then be mopped up with a tissue. Then apply the solution in the same way to the other eye. The drops should be applied twice a day for a maximum of 6 weeks as instructed by your doctor. It is important that a new bottle of Optilast is used every 4 weeks to make sure the solution remains sterile. The eye drops may change the colour of soft contact lenses. Therefore, if you wear contact lenses these should be removed before applying the eye drops and reinserted at least 15 minutes later. Before using Optilast it is best to consult your doctor to make sure that you eye problem is due to an allergy and not an infection. You will not be able to use Optilast if you are allergic to azelastine or to any of the preservatives in the solution. If you are pregnant or breast feeding it may not be appropriate to use this medication. Optilast can cause mild burning, stinging or itching for a few minutes after application. This may be accompanied by blurred vision. If affected in this way do not drive or operate machinery until your vision has returned to normal. A few people experience a bitter taste in their mouth. However, most people experience no problems at all. If your eye symptoms get worse you should stop using Optilast and make an appointment to see your doctor.